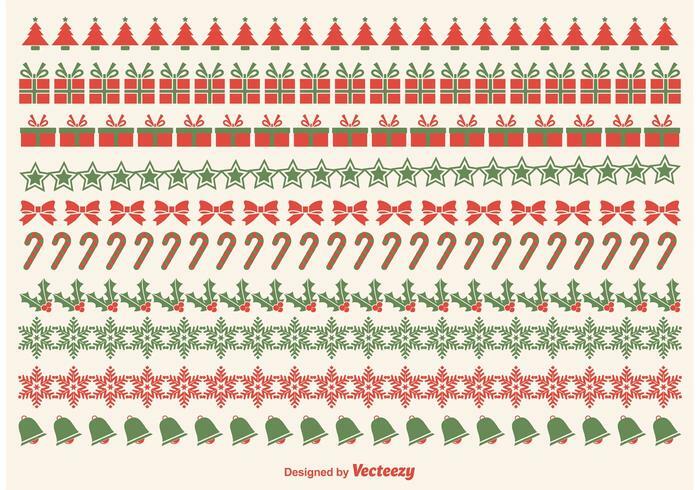 Are you thinking about spicing up your designs these holiday Christmas season? 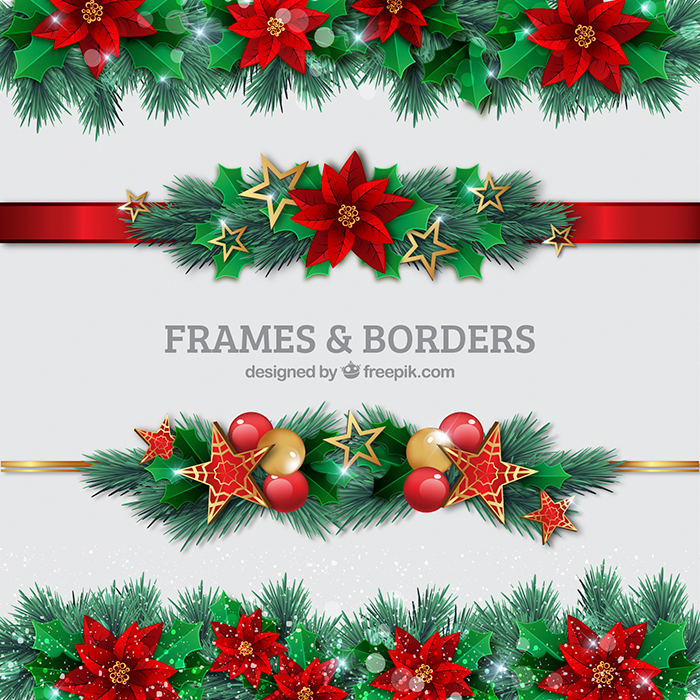 Do you need some artificial Christmas borders to cheer up your friends and family? 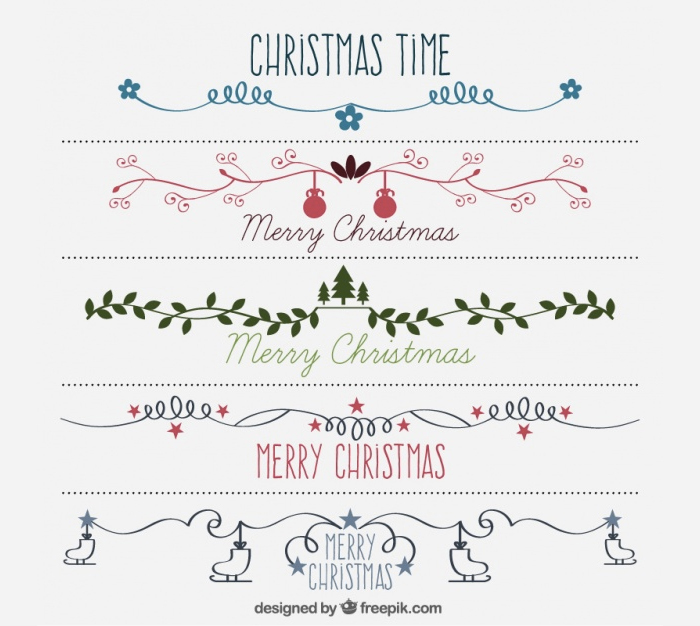 In this post, we have collected 27 free Christmas border clipart images you can download. Such kind of frames can be used for your cozy Christmas photos, creating a postcard, flyer, business card, or invitation. To download the files just visit the sources listed below and grab the freebies you like. Even if you just print a border and write some words on the paper, it will be a good DIY postcard. 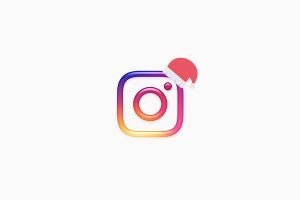 Make sure to check out our Christmas Instagram captions, free Christmas backgrounds, and Christmas wishes and messages you can use this holiday. 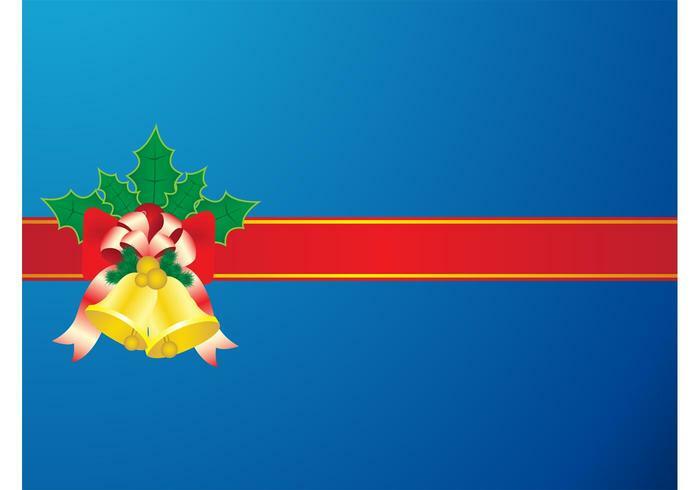 We have more Christmas freebies on the way, so stay tuned. Also, make sure to leave a comment and mention which border from this collection is your favorite. 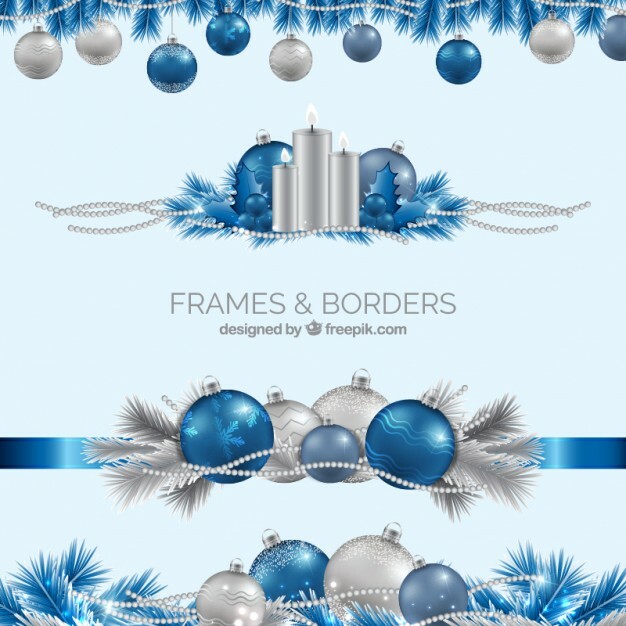 This artificial Christmas borders set includes snowflakes of different sizes and forms along with tree decorations. These cute red Christmas ornaments symbolizes this holiday the best. It has twigs, snowflakes, asterisks, and hearts. 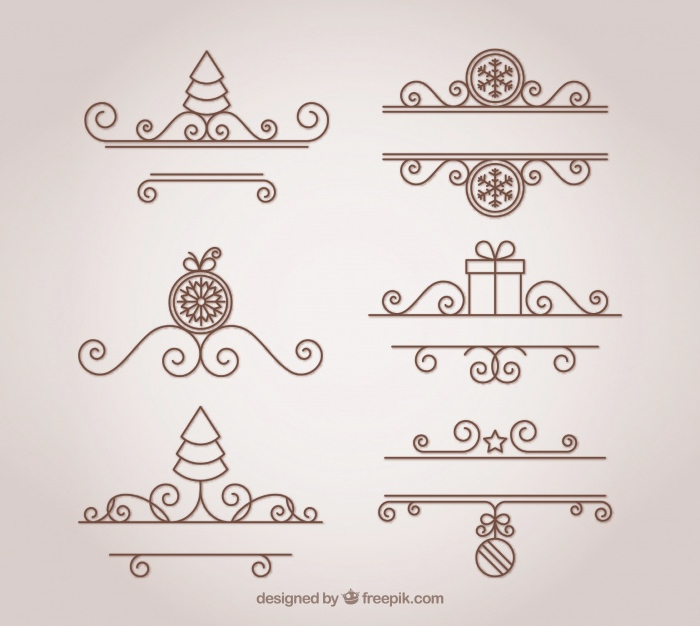 Here is a set of Christmas ornaments with different Christmas twigs in beige color. You can use them to create a lovely postcard. These are shiny Christmas beige ornaments for a holiday with a complicated pattern. This is a gorgeous Christmas borders designed of Christmas tree twigs, red ribbons, and poinsettia flowers. 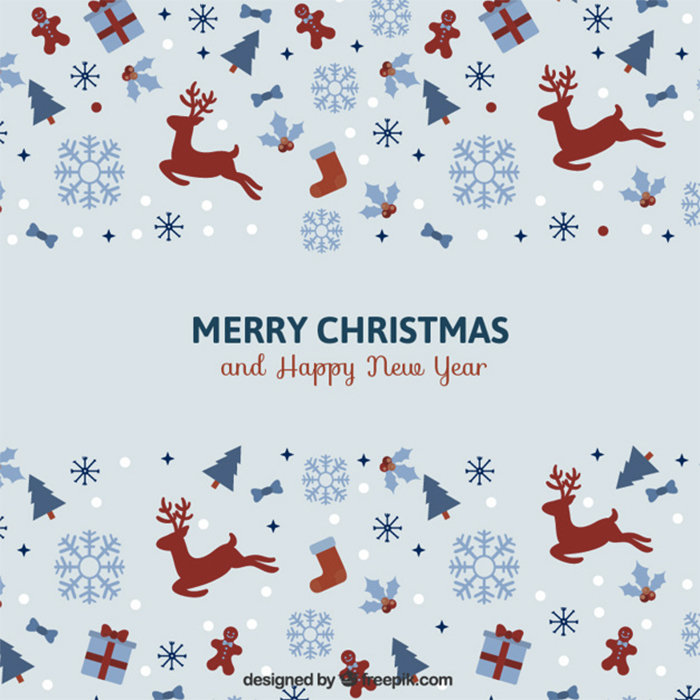 This beautiful blue illustrated borders with dears, Santa’s shoes and gingerbread look minimalistic yet stylish. 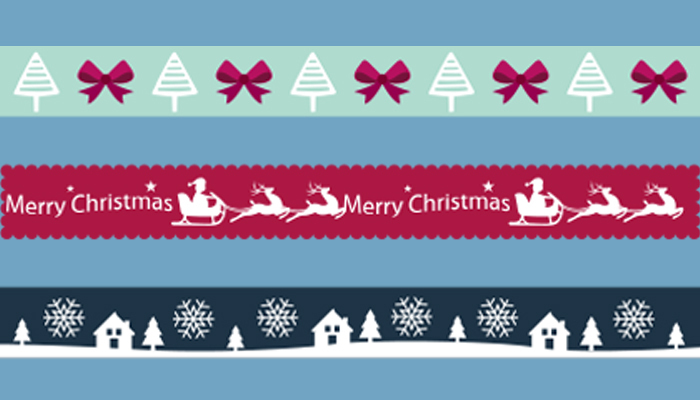 These fantastic Christmas ribbons in red, blue, green, and beige colors are featuring different symbols of this holiday. 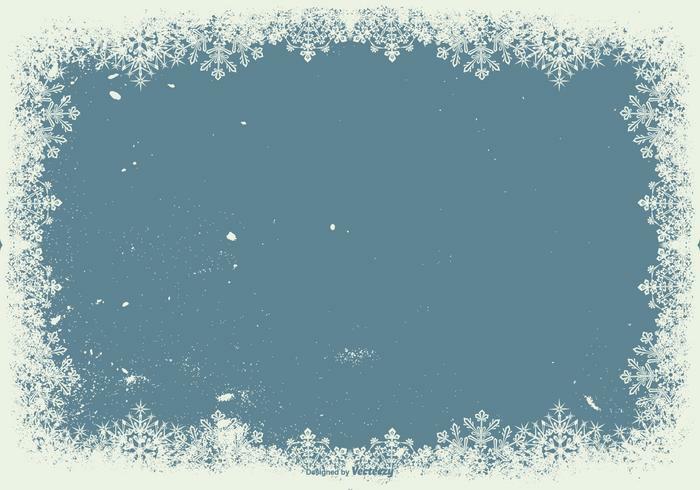 Grunge snowflake frame looks like a frosted window. You can turn it into a beautiful postcard or flyer. 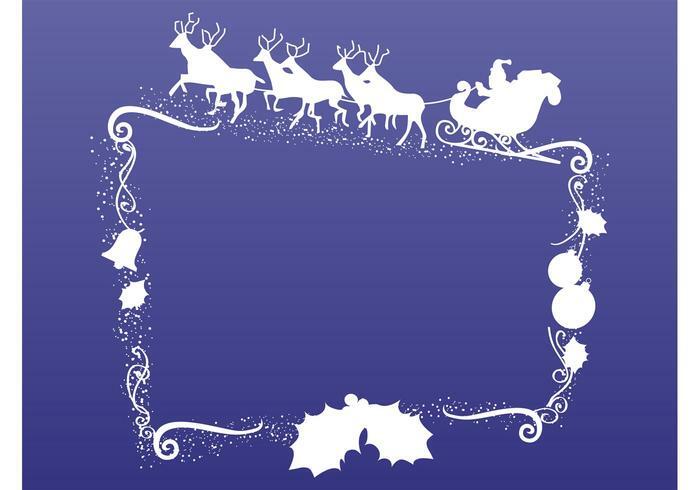 This awesome purple border for Christmas, features a silhouette of Santa Claus on a sled with dears. 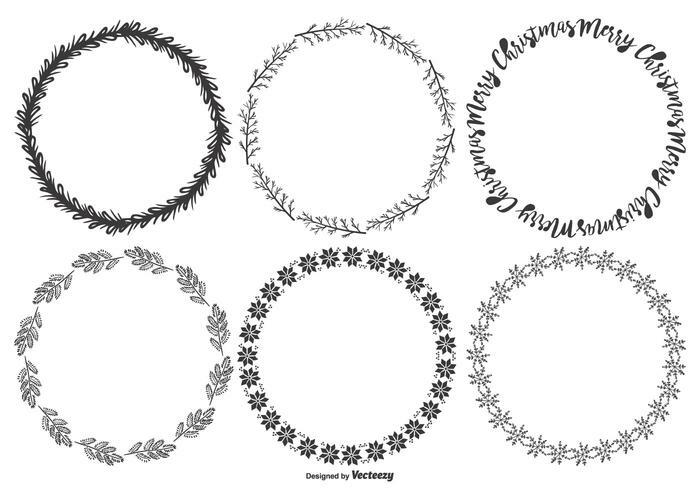 Just look at these sweet hand-drawn circle frames for Christmas. They look like wreaths. 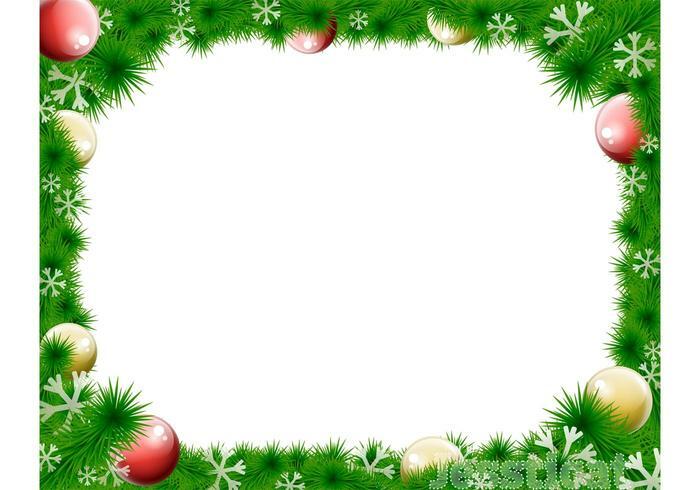 This is a Christmas tree border with decorations which can be used for postcards for your friends and family. You can download it in vector format. 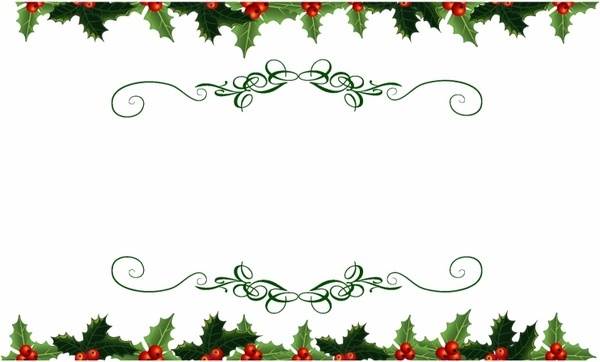 This is a hand-drawn frame with a festive look. You can just download and print this borders, and then write some wishes inside the fame. 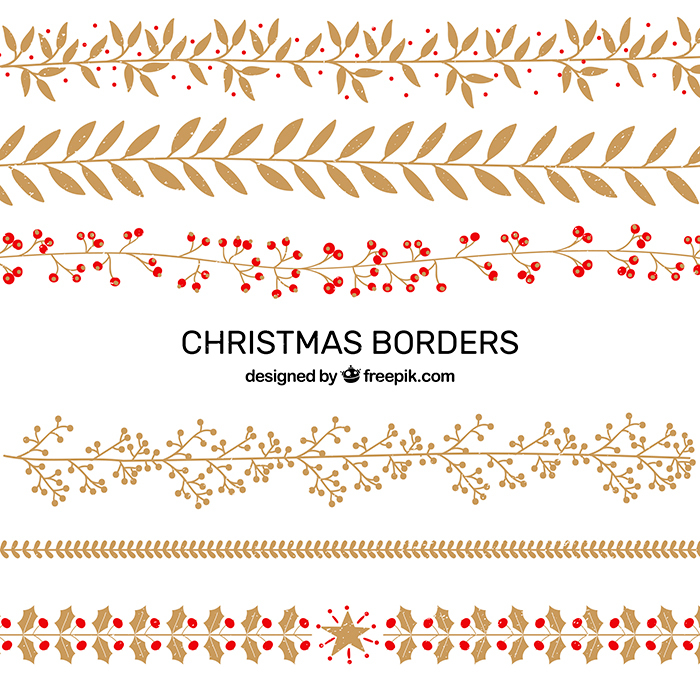 This is a pleasant set of Christmas borders featuring candies, ribbons, stars, gifts, bells, snowflakes, and trees. They look like a tape. 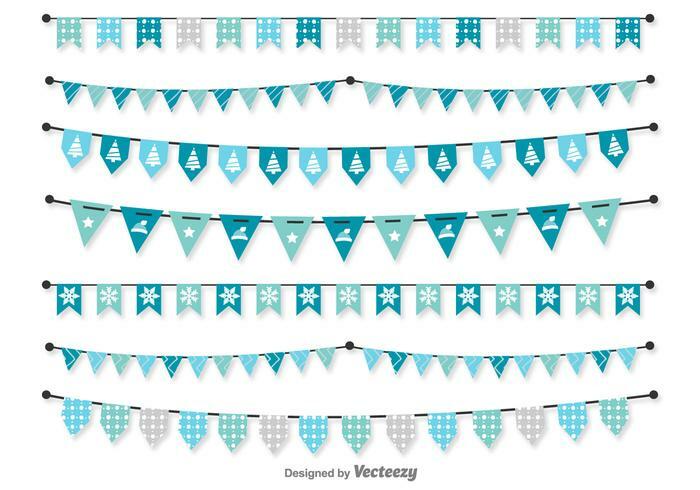 These cute blue flags symbolize winter and Christmas. 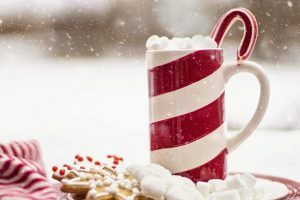 You can use it to create Christmas postcard, business card, flyer, background, or decoration for your website. This is a sweet collection of sketchy black and white borders for Christmas. They look like a garland or candies. What else can become a symbol of winter holidays if not a snowflake? 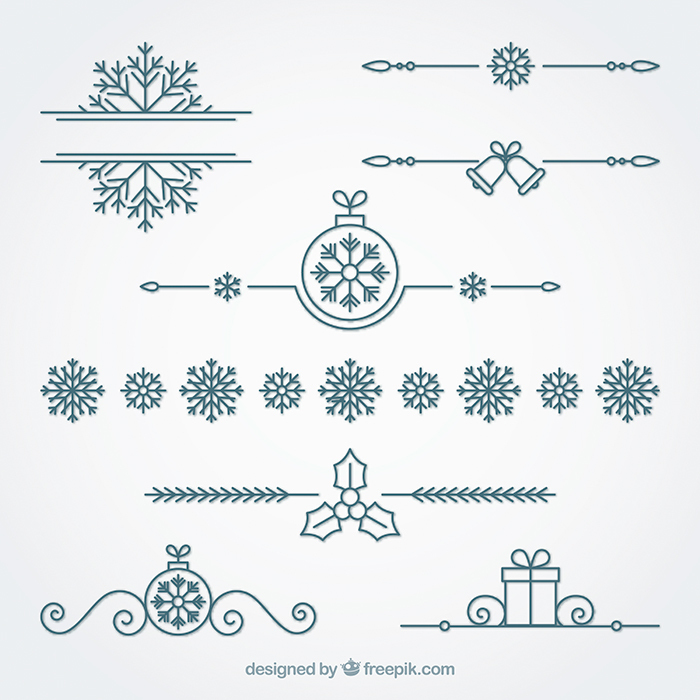 Here you’ll find snowflakes of different forms to fit any taste and style. 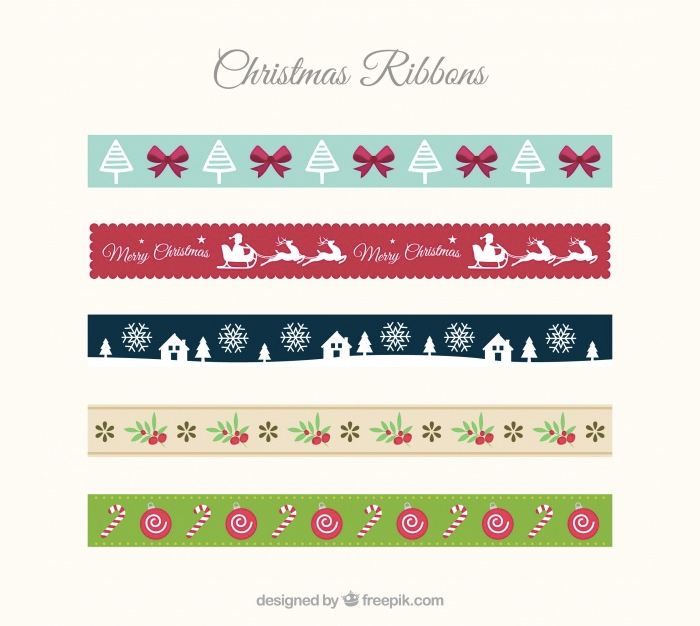 Here is a festive glowing Christmas ribbon with a sweet bell and mistletoe leaves on it. This can be an excellent decoration for postcard itself. 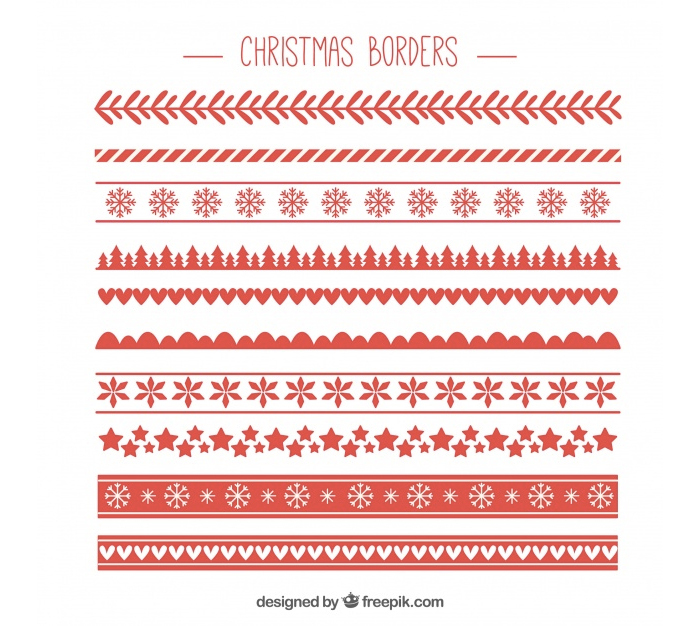 Here is traditional for Christmas border with dears and snowflakes in red color. 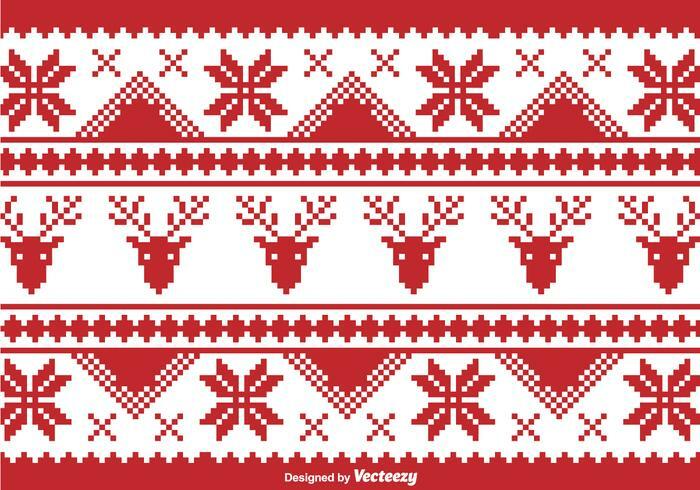 They look like a pixel illustration or an ornament on a sweater. 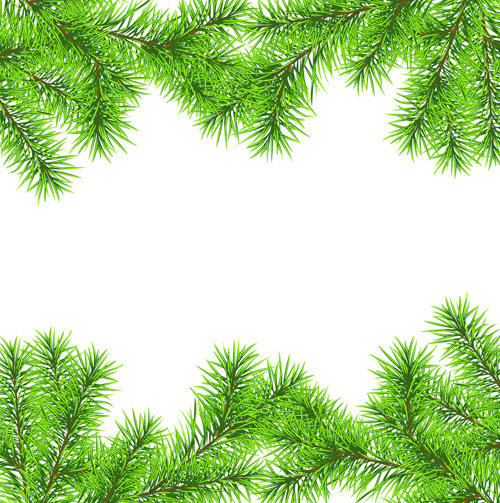 It is Christmas borders with green needles. It looks clean and minimalist. 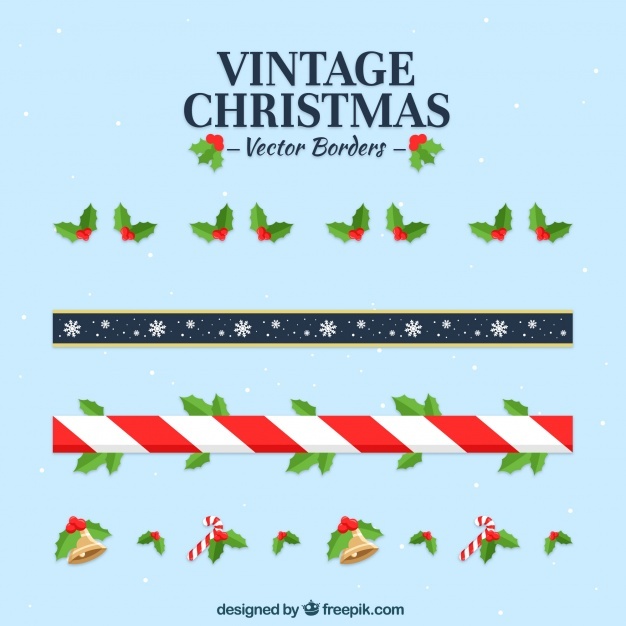 This is a Christmas border including a candy cane and peppermint at the edges. 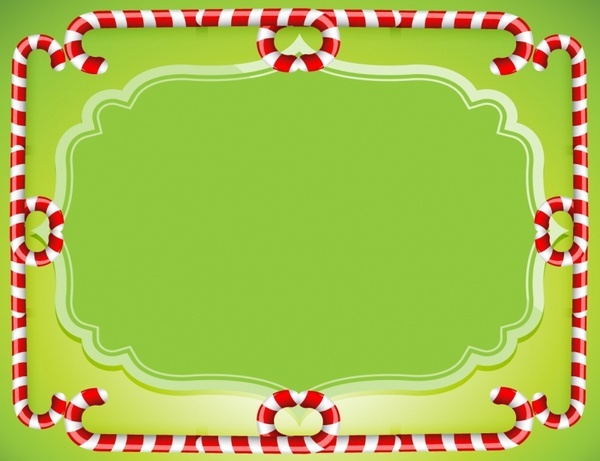 Here is one more festive border featuring candy cane, but this time its place on a green background. 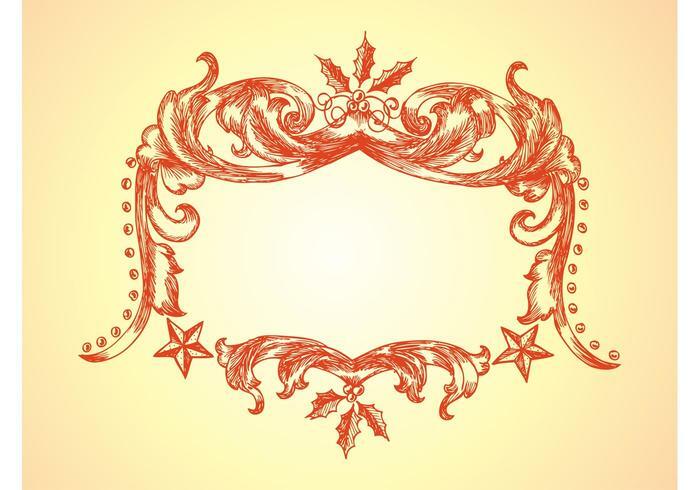 This Christmas frame has quite an intense top and bottom with ornaments and berries. This way, you can print it and add your wishes in the middle of the image. 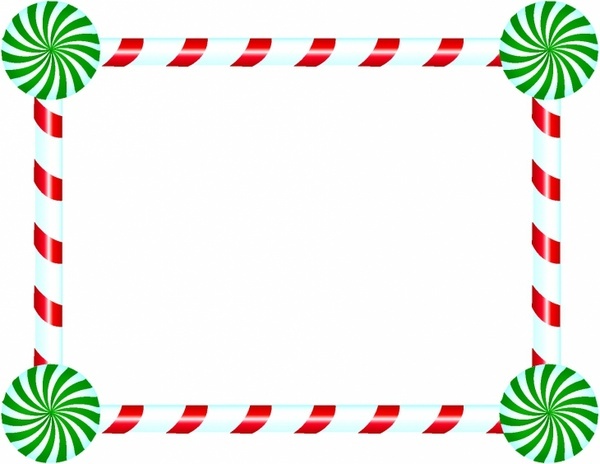 This is a set of decorative frames for a holiday featuring berries, mistletoe, candy cane, and a tape with snowflakes. 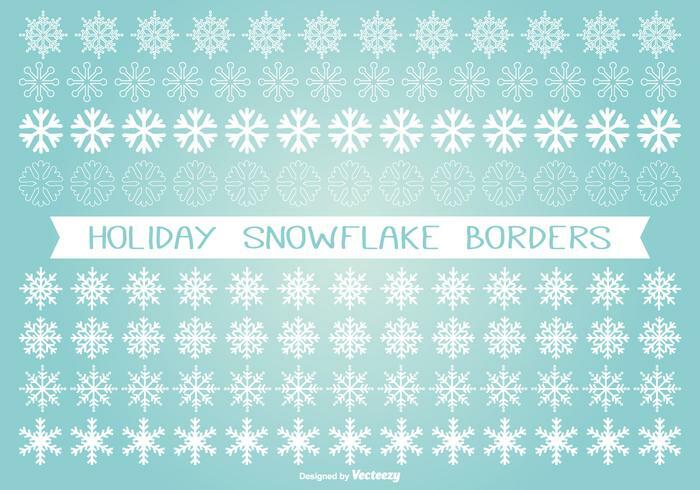 Check out these gorgeous Christmas borders with trees, snowflakes, stars, and gifts. They are using washed out green and red colors which look amazing on the beige backdrop. 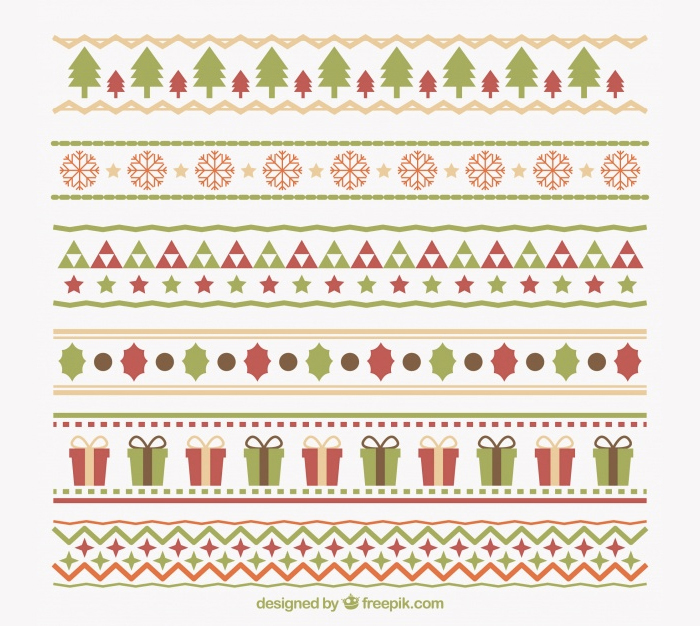 Here is a graphic gorgeous Christmas frame with needles, candles, and New Year toys. 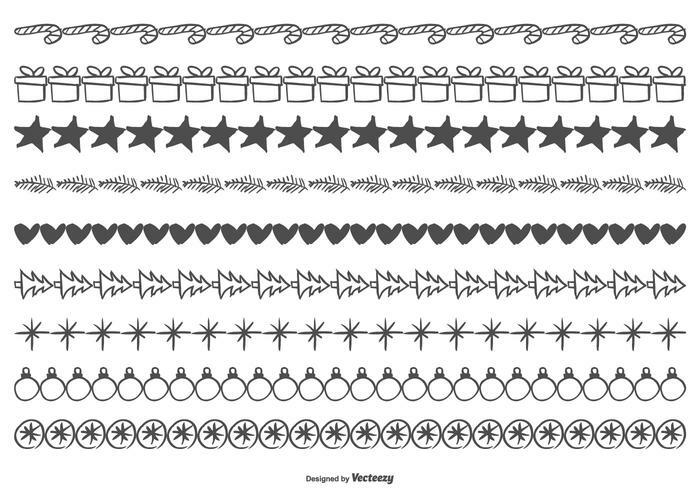 This is a hand-drawn beautiful set of Christmas borders with complicated ornaments and wishes. 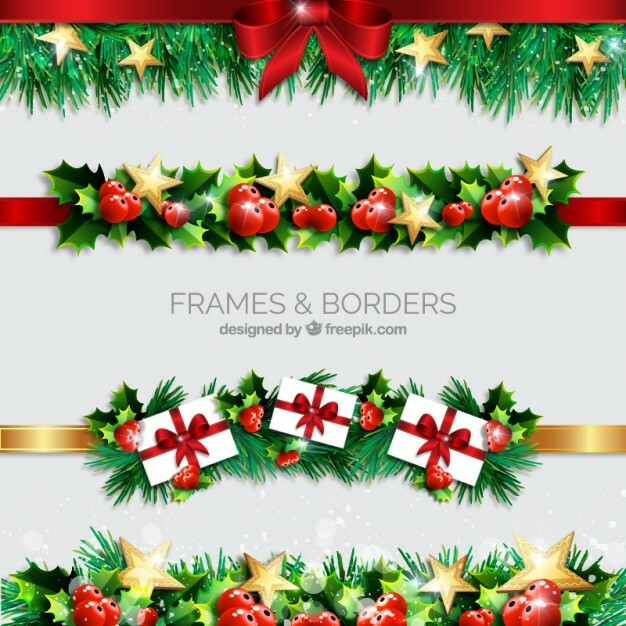 Here is one more set of realistic Christmas frames with mistletoe, needles, berries, and gifts. You can use it for a postcard, flyer, or holiday invitation.